You watch college hoops for the heart, the energy, and to scout the best young talent out there and that's how Duke does it, year after year. Yes, you'll be sitting next to a blue-haired trust funder (we'd say "obnoxious trust funder" but that's redundant, right? ), but for once, it'll be totally worth it. 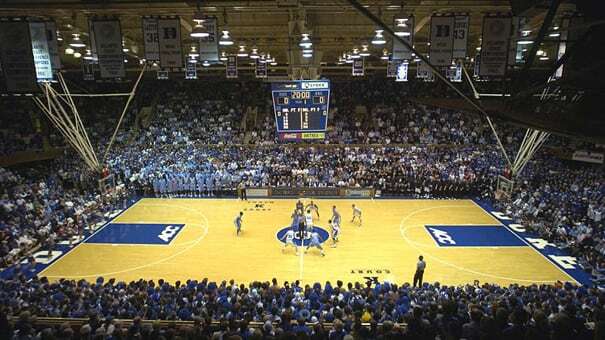 If you want to catch the Blue Devils at home before you kick it, though, you better either underwrite a physics lab or get really good at ball. Otherwise, you'll be camping out for weeks to get seats near Coach K's court.